After a thorough and very expensive renovation that was completed in 2006, the Royal Olympic hotel has finally reached the standard of its official category (5*, deluxe category) and meets the expectations of its guests. 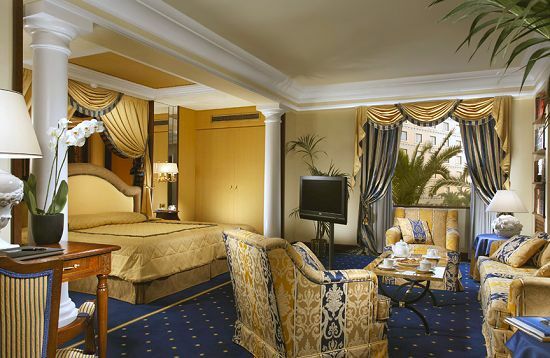 Mosaics, quality statues, original gravures, marble, wood and bronze all blend harmoniously with each other, creating an impressive, luxurious yet warm atmosphere. One of the highlights of the Royal Olympic is a copy of the Delphi bronze charioteer that stands in the foyer of the hotel under a star-lit ceiling. There are 272 rooms, all comfortably furnished and with many amenities for the guests’ convenience: private facilities (shower/bathtub and WC) with full bath amenities, soundproof windows, mini bar, safe box, direct dial phone with voice mail, PC outlets, Wi-Fi Internet access, satellite TV with pay channels and in-house movies, radio, and hairdryer. 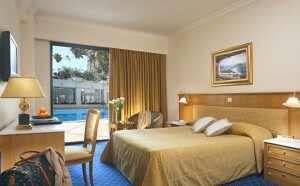 The majority of the rooms have view to the well cared interior quadrangle and the pool of the hotel. 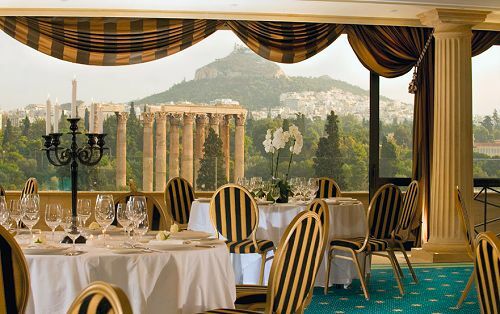 There are 45 rooms that offer one of the best views in Athens, the Athenian Panorama rooms, which offer unobstructed views to the Temple of Zeus (right across the street from the hotel), Lycabettus Hill and the Acropolis (3rd floor and above). 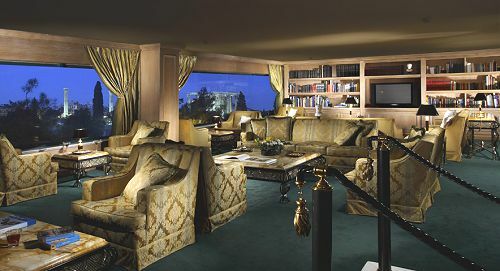 The hotel also features 11 suites, interconnecting rooms for families, non-smoking rooms and rooms for guests with disabilities. The Royal Olympic hotel is only a short walk from the Acropolis, Plaka, Constitution square and other major sights of Athens, thus making it ideal for those who want to explore the city. 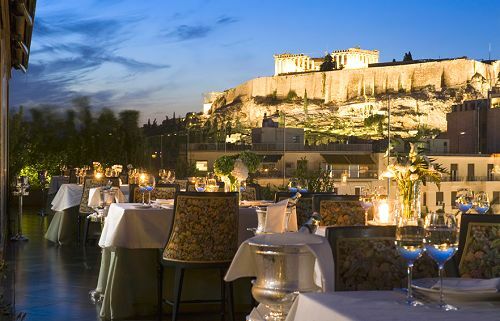 After a long day of sightseeing in Athens, one can relax at the hotel’s beautifully designed pool while sipping a drink from the pool bar or the lounge bars, read a book at the hotel’s cosy library lounge, have a sauna or dine in the restaurant that also has a wonderful view to the Temple of Zeus. 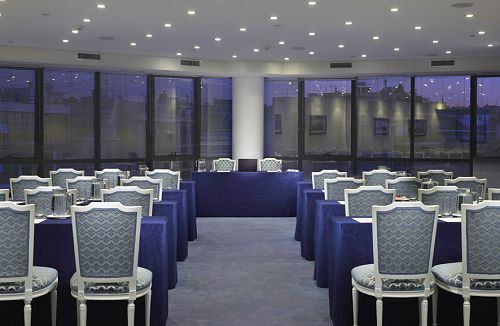 For the business travellers there is a well-equipped business centre and Wi-Fi access throughout the hotel. 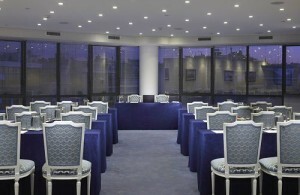 A number of versatile and multifunctional seminar and conference rooms are available. A hair salon, a beauty parlour, a shopping arcade and a gym are also at in-house guests’ disposal. The highlight though is the hotel’s roof garden with a spectacular view of the city and a gourmet restaurant that will satisfy even for the most demanding tasty buds. Other services available at the Royal Olympic: 24-hour room service, laundry, dry cleaning, concierge and parking. Excellent value. 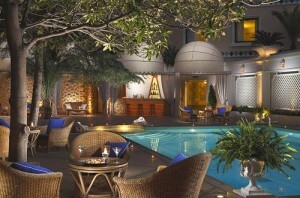 wonderful breakfast on 7th floor rooftop. Would return. 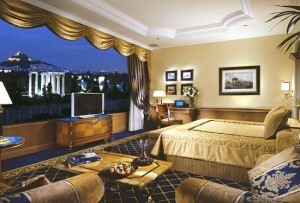 Beautiful hotel in a great location in Athens. 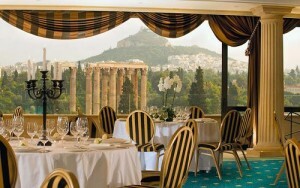 Breakfast was very good in beautiful rooftop setting with wonderful view of the Acropolis. Our stay at the Royal Olympic was wonderful. While the hotel was wonderful, our room was not ready until nearly 3PM on our day of arrival. 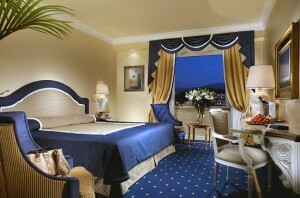 We had arrived early that day after a very long flight, and would have preferred to have a room ready upon our arrival. We felt as if we wasted the better part of a day simply waiting to freshen up, settle in, and refresh to explore the city.